Why is grooming your pet important? Regardless of the breed of your dog or cat, they all love a little bit of attention. Grooming is a very important part of caring for your pet’s health and well being. 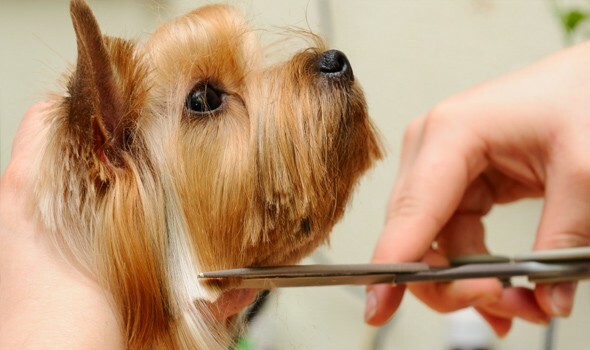 Some breeds only need bathing and occasional brushing, while others need detailed grooming and specific breed cuts. Regular brushing and combing helps to remove dead hair and dirt and helps to prevent the hair from matting. Dogs and cats who are regularly groomed tend to have a healthier and shinier coat because it stimulates the blood supply to the skin. Matted hair left for long periods of time can create an environment for infections and skin bruising. Large mats can also be very uncomfortable for your pet. 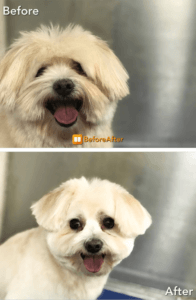 AMC of Cascades has a fully equipped grooming facility with appointments hours available Monday – Saturday. We have an experienced certified groomer on staff, specializing in breed specific cuts. Pets must be current on all core vaccines and free of intestinal parasites to be groomed at AMC. Please contact the hospital for more information or to schedule an appointment. Let our friendly staff know if there are any health concerns that you would like addressed while your pet is here. If you are an active client with us, grooming appointments can be requested online through your Pet Portal account. Contact us if you are unsure of how to access your account. Welcome to Pet Groomer at AMC! As your pet stylist I have over 12 years of experience working in salons around the DMV. Through this journey I discovered my love for dogs and cats. My goal is to give you and your baby a wonderful experience and to have your pet so clean and looking so neat that you can’t help but to brag about our awesome service. I’m confident that you and your pet will love me as you pet stylist. There’s no greater tip than to see you happy. I hope to see you in the near future. P.S here’s a selfie of one of my beloved pet client!